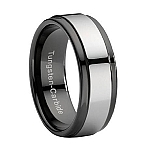 Our tungsten rings for men come in gunmetal gray and black, which is stylish for any setting and occasion. They are all made tough, durable and require very low maintenance. They are also scratch resistant, which makes them great for wedding bands for men who do a lot of work with their hands. There is a lot of thought placed in the fine details, so that we can provide the design and comfort for everyday wear. A popular trend in jewelry today is tungsten. 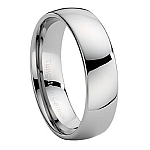 The metal has become a very popular choice, especially as men's tungsten rings. This is attributed to the fact that the metal provides men with the perfect balance of affordability, durability and attractiveness. Tougher than most precious metals, and with a scratch resistant surface, tungsten wedding rings are the perfect piece of jewelry no matter what you may be in to. 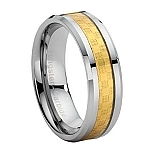 So what has made our tungsten men's rings so popular? It is their incredible value for a relatively low price. You will be pleased to know that with our pocket friendly prices, you will never have to make the usual compromise on quality or style. This is because our collection boasts an expansive and outstandingly beautiful array of men's rings. 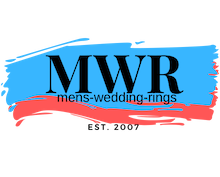 Our tungsten rings are more durable and affordable than most traditional wedding rings, and we provide engraving options, which allow you to add the wording of your choice. We know how important finding the perfect ring can be, which is why we take special care in providing a collection of quality rings that are sure to appeal to any personality and style.